From books to mini-tanks, Amazon might be a one-stop-online-shop for just about anything consumers could desire, and with the unveiling of its new platform, Launchpad, the e-tailer is now gunning to be the one-stop-marketing-and-distribution center for startups. The e-commerce giant announced today that it would wade into the world of startups by partnering with more than 25 crowd-funding platforms and venture capital firms to offer up-and-coming sellers a place to showcase their unique products, like a all-in-one home security devices or toddler snack packs. According to Amazon, Launchpad was created as a way to help startups successfully launch their innovations and share their stories, while allowing consumers to try out new products. As part of the system, Amazon will manage inventory, fulfill orders using its own distribution network and provide customer service for some of the startup’s sales. In the future, the company will help the selected startups reach a global audience. “With Amazon Launchpad, startups can overcome many of the challenges associated with launching new products by using Amazon’s retail expertise and infrastructure to create awareness and drive sales,” the company says. 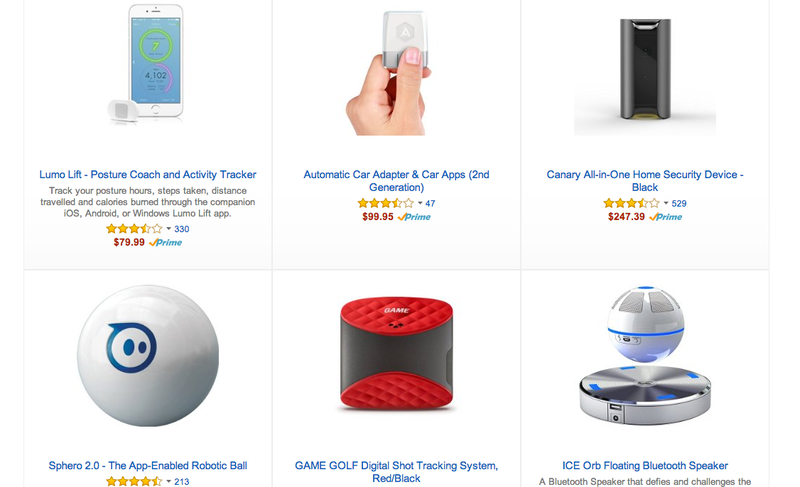 These are just a handful of the products showcased on Amazon’s new Launchpad platform. Products currently featured on the platform include everything from food – like chickpea pasta – to home furnishings – such as mattresses and a wine access system. Missing from Amazon’s lineup of partners — which includes Indiegogo — is Kickstarter, the most prominent name in the crowd-funding arena.